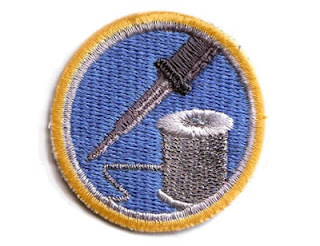 For my first Nerd Merit Badge, I've decided to go for the first badge created, the "Learn to Solder" patch. This seems fitting since I read somewhere that this badge was the first created in the series. I did a tiny amount of soldering years ago and quiet frankly I was terrible. This time around I've decided to buy a couple kits, read up on good technique, and take my time to learn correctly. The first kit I've purchased is the "Elenco AmeriKit Learn to Solder Kit". This kit is designed for the beginner and includes a special area of the board to practice. 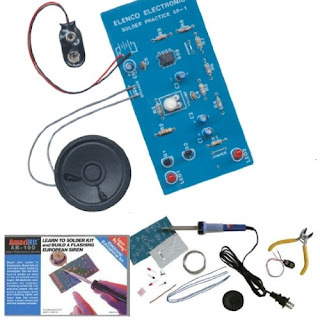 Once you feel comfortable, the rest of the board is a European siren kit with flashing LED's. The $15 kit includes a soldering iron and wire cutters. That's an amazing bargain.